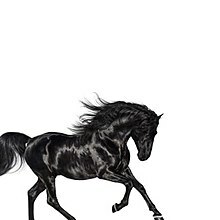 On April 13, 2019, Lil Nas X scored his first number one hit with "Old Town Road." This would otherwise be unremarkable except for the fact that it's a trap/country crossover made by a rapper who got it to blow up on TikTok. It's a short song, less than two minutes long. Although it was released under the 'country' genre on iTunes and other services, Billboard removed it from its country charts, citing that it did not incorporate enough aspects of modern country music. This has proved to be controversial, prompting debates about what country is and how Billboard can measure a genre. The question of whether race played a role has also hung over the song's removal from the charts. Pin-pen merger: pronouncing "pin" and "pen" as "pin," instead of pronouncing both distinctly. /aɪ/ monophthongization: words like "ride" with an /aɪ/ sound get pronounced with the monophthong /a/. This means "ride" sounds like something between "rad" and "rod." There is no 'ee' or 'ih' sound at the end of the vowel, unlike in General American English. Use of negative concord. This means that if one part of a sentence is negated, the whole sentence must be negated to 'agree' with it. So "nobody can tell me anything" becomes "nobody can't tell me nothing." Feel-fill merger: both "feel" and "fill" are pronounced "fill." In General American English, "feel" has the long vowel of "feet" and "fill" has the short vowel of "fit" - they do not rhyme. And this is far from exhaustive. The similarities between these two dialects should not come as a shock, since African American Vernacular English and Southern American English developed side by side due to the concentration of slavery in the American South. African American Vernacular English developed among slaves in the South and was influenced by Southern American English. Southern American English might have had influence from African American Vernacular English (see Richard Bailey's "Speaking American: a History of English in the United States"). It is hard to disentangle who influenced whom in the past. But despite that, the two dialects are distinct, and Lil Nas X makes use of those distinctions to put on a more "country" sounding voice. Exaggerated rhoticity. Lil Nas X leans in hard on the "r"s, making them longer and more notable. Modern Southern American English is rhotic, while African American Vernacular English is non-rhotic - "r"s after vowels are not pronounced. /eɪ/ lowered to [ɛɪ]. The way he says "baby" almost sounds like "bu-ee-by." Although the "ey" /eɪ/ sound can be lowered in African American Vernacular English, it is not as dramatic as in Southern American English. Moreover, Lil Nas X does not use the low "ey" sound in his own music, so it is definitely something he is using to imitate Southern American English. /æ/ is turning into a diphthong /ɛə/. This is part of the Southern Vowel Shift. He says "tractor" as "tre-a-ctor." Once again, although this sound can be found in African American English, Lil Nas X does not use it in his own music. He says "smack" with the monophthong [æ]. What is curious about this is that Lil Nas X is not the only one who uses these tactics to imitate Southern American English. R. Kelly, a singer who has more recently been in the news for sexual abuse, used similar tactics in the 8th part of his musical series "Trapped in the Closet," as well as another additional feature. Parts of the Southern shift that he himself does not use. /ɛ/ 'eh' becomes 'eya' [ɛjɪ]. /i/ 'ee' becomes 'ey' [ɪi]. /eɪ/ is lowered. R. Kelly also centers it so it sounds like "uh-ee" [əɪ]. /u/ fronting. Southern American English pushes the /u/ sound to the front of the mouth so "you" /ju/ sounds like "yew" [jʉ]. This is a feature that is not present in African American Vernacular English. Although Lil Nas X's "Old Town Road" may not have been country enough for Billboard, it follows a tradition of country singers adopting another accent to sound more country. It is also an interesting example of the ways that a speaker of one dialect tries to imitate another, similar dialect, by leaning in on the most distinctive aspects (and keeping the similar ones, like /aɪ/-monophthongization). Are you aware of any other examples of African American singers using these features to imitate Southern American English, in or outside of the country music genre? I've noticed that although rhoticity is exaggerated, another distinctive Southern American feature, fronting "oh" /oʊ/ to "uh-uu" [əʊ], is missing from these imitations. When you're interested in dialectology, it can be easy to get the feeling that phonologically English - or whatever language you study - has stopped changing in any significant way. Reading about the great changes that happened in the past, it can be hard to imagine something similar happening today. Wouldn't people start misunderstanding en masse? But language is a fluid thing, and the remarkable thing is that it changes right beneath our noses. Those who adopt new changes may not even be aware that they're doing it - and those who listen may not even be aware that a change has occurred. All this, of course, until someone points it out, at which point it can become a Big Thing that everyone is concerned about. But But the process happens naturally and incrementally. The drift from the past isn't apparent at the moment the drift happens, but only when you look further and further back and realize, hmm, perhaps people didn't always talk this way. A merger is when two sounds that were previously distinct in a language's history become pronounced so that no meaningful distinction can be made between them. When American Southerners pronounce "pin" and "pen" as "pin", that's a merger because now if they say "pin," we cannot tell if they are referring to a sewing pin or a writing pen. And moreover, neither can Southerners without context or explanation ("I'm looking for an ink pen"). This merger also happens only under certain conditions - before the nasal sounds "n" and "m". So to a Southerner, a "pit" and a "pet" are very clearly pronounced differently, but a "pin" and a "pen" are pronounced the same. We can say, to use fancy linguistic terminology, that the distinction between short "i" and short "e" is neutralized before a nasal. So the potential merger I've been hearing is in the environments [tr] and [dr]. In American English (as in most varieties of English), the "t" sound is voiceless and aspirated (little puff of air) at the beginning of a stressed syllable ('tin', 'attack') while the "d" sound is unaspirated and voiceless at the beginning of a word, meaning that the vocal cords don't vibrate. Both these sounds are voiceless, so the big difference between them is the small puff of air after the "t" - a difference in aspiration. Now for a while, the sequence /tr/ has been acting a little differently compared to other syllables starting with /t/. To make the /r/ sound, the tongue has to curl up. This means in a fast conversation, the tongue anticipates that an /r/ is coming and can start curling while making the /t/. As it curls, it brushes up against the roof of the mouth, producing a "ch" sound. This is why you hear some people pronounced "tree" as "chree." This process can also affect /dr/, but /d/ is voiceless. So what happens to something like "dream"? It can become "chreem" as well. (Potentially it could be "jreem" too). Now, I'm not entirely sure what happens to the aspiration in the "chree" case, but if the aspiration disappears, then there's nothing to differentiate /tr/ from /dr/ - both become "chr." A lot of fans thought this line was "say I'm drippin' if you want to" when it came out - and I can understand why. I can't hear any aspiration here, and I can hear some slight affrication. Without aspiration and with the added confusion of affrication, it becomes a lot harder to distinguish this as "tripping". But can the "tripping-dripping" confusion work backwards as well? Why not! Check out "Finesse" by Bruno Mars. This sounds very similar to Ariana's "tripping" because they are both voiceless, unaspirated, and affricated. I myself had some confusion with this song when it came out and thought he was saying "tripping in finesse," as if there was so much finesse everywhere he was stumbling over it. But the lyrics are "dripping," not "tripping." That this merger happens both ways suggests then that the distinction between /tr/ and /dr/ has been neutralized. Now this doesn't mean that nobody will ever be able to distinguish between /tr/ and /dr/ again. After all, there are different levels of enunciation and clarity that one can aim for depending on the situation. In modern pop songs, a casual, "normal" pronunciation is expected. But if Ariana Grande and Bruno Mars were giving an important speech in front of diplomats (for some reason), we might find that they would distinguish between /tr/ and /dr/ by aspirating /t/ and by not including affrication. This means that the distinction is only neutralized in informal speech, but it's still there. If they pronounced them the same no matter the formality level, though, and if they weren't really able to tell the difference, then they really and truly would have neutralized the distinction between /tr/ and /dr/. I tentatively call this 'new' because I have not encountered any literature on the matter beforehand (though I've heard a lot about 'tree' sounding like 'chree'). However, it's possible and likely that this phenomenon is older than I expect. Have any of you heard this "tripping-dripping" merger before? Do you yourself have it? Let me know in the comments! A few weeks ago, we reached 100,000 all time hits! I'm so happy to see that this site has been useful for so many people in providing a reference for linguistics in popular culture. Although I'm no longer able to churn out articles like I used to, I am still working on giving you all better long articles. I recently wrote about a Dialect Dissection about the Beatles and Regional Identity, which was one of the more challenging projects I've done due to technical problems. I've also got other, more free-form articles planned to come out in the following few months, in addition to more Dialect Dissections. It's getting good, y'all! I'm also excited to say that Ace Linguist was cited on Slate, in Carl Wilson's Billie Eilish review. I'm excited about some of the future free-form articles I'm going to be publishing because they're more discussion-based. Most of the small articles on here don't get a lot of traction with regards to comments, but these are longer and therefore more well-reasoned out and less "well what are your thoughts y'all." The Dialect Dissections and other major articles will continue to be the lifeblood of the site, but you all also know I've been talking about diversifying the content for a long time. One area where I'm hoping to diversify a little is to spread out beyond just phonology. Most of my dialect dissections focus on sounds, but not so much on sentence structure. I'm hoping to correct that by having a future Dialect Dissection focus more on syntax.